Selected by Golf Digest as one of the ten best courses you can play in Montana, Bridger Creek's reputation continues to grow. 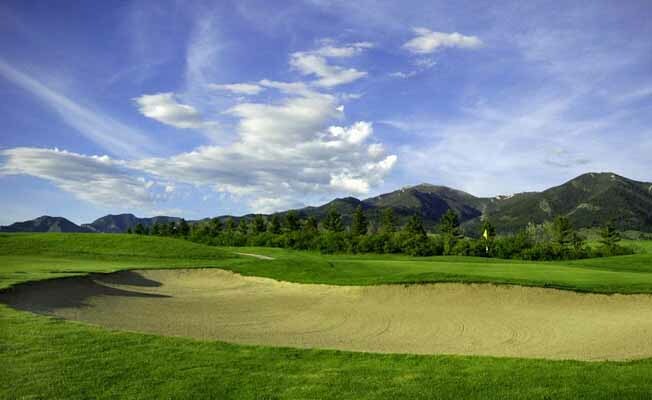 Bridger Creek continues to be Bozeman's premier site for statewide golf tournaments, playing host to two US amateur qualifying events, The State Big "I" Classic, State Seniors Tournament and the Rocky Mountain Section PGA tournaments. The PGA professionals working here teach Montana's only Nike Junior camp help the last week in July. Opened for play in 1994, this 18-hole course lies at the feet of the North end of the Bridger Mountains only 5 minutes from Historic Downtown Bozeman. Bridger Creek was designed by Mac Hunter. It does not demand great length off the tee but will discern quickly and accurately the status of the player's short game. The men's championship course plays to 6,600 yards and the women's course to 4,902 yards. Golf is not the only sport enjoyed on the grounds. Bridger Creek runs though the course and the East Gallatin River borders it on the west. Both support plenty of brown and rainbow trout. Bring your rod, your camera and your golf game. For more information see http://www.bridgercreek.com or call (406) 586-2333. Check website for rates. For tee times call (406) 586-2333.